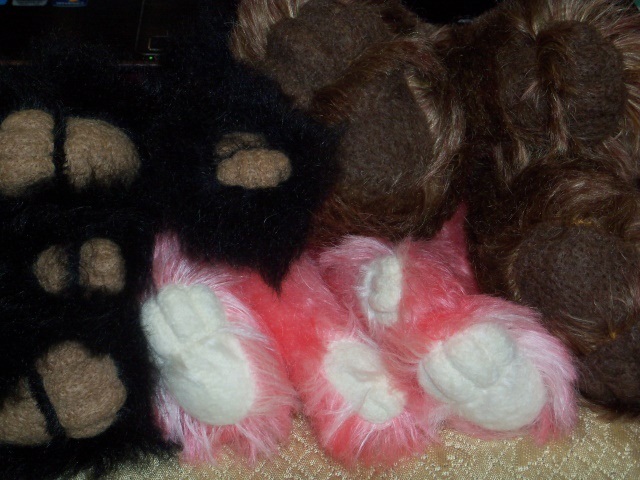 I have completed the feet and paws for the brown grizzly, the black bear and a new pink and white bear. 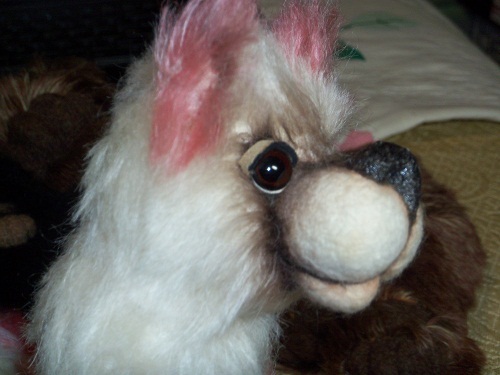 Tomorrow is going to be shading and closing the stuffing openings on all those legs. I also got most of the face of the new pink and white bear finished. On the knitting side, I haven't done anything.....except buy some more wool.... I have to learn to knit faster !! !